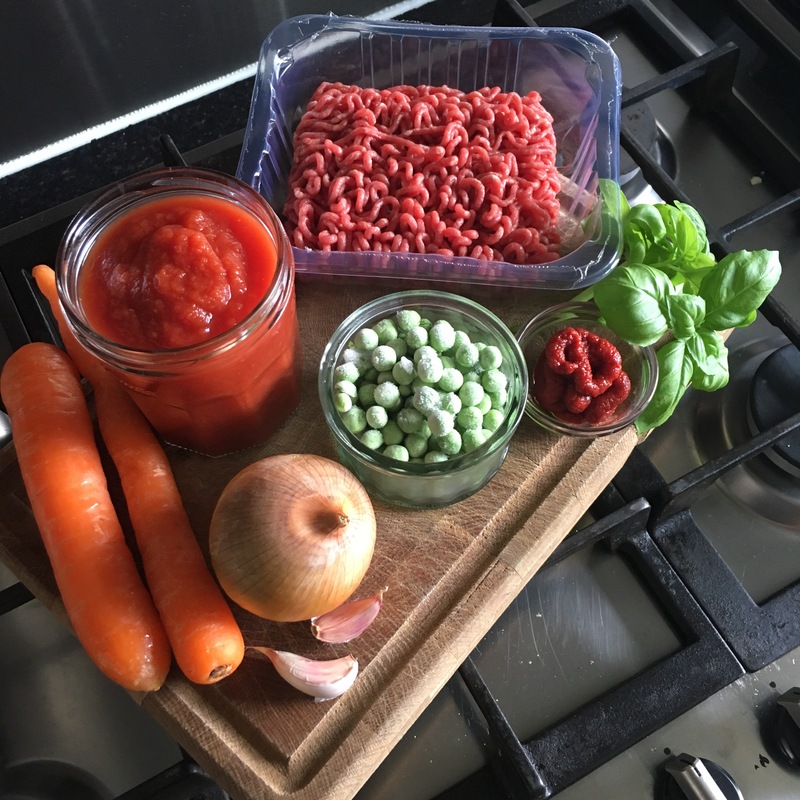 This is a very standard issue beef mince sauce. All I’ve done is add a few more veggies to stretch it out, make it tastier and HIDE them from children who don’t like to eat their veg! The secret to getting this to taste extra special is to allow it to cook for at least 45 minutes to an hour. You could also chop mushrooms finely in a food processor and add this to the mince, it adds a ton of flavour and stretches the sauce further if you have more mouths to feed. Enjoy with pasta or a jacket potato and cheese.